Experience the endless creativity, delicious food and natural attractions of New Zealand’s stylish little capital. Wrapped around a beautiful harbour and surrounded by nature, Wellington is fun, compact and easy to explore. There's a very social vibe to the city, with countless restaurants, cafés and bars offering superb casual dining experiences. Catch a show, visit museums and galleries, get out on the harbour, wander the waterfront or raise your heartrate on a nature walk close to the city with spectacular harbour views from the hills. Air New Zealand flies non-stop domestic flights to Wellington from Auckland, Christchurch, Queenstown, Dunedin and most other regional centres. With all our domestic airfares you can choose seat, seat+bag, flexitime or flexidate fare types. The scheduled flight time for Auckland to Wellington flights is 65 minutes, Christchurch to Wellington flights takes 60 minutes and Dunedin to Wellington flights take 75 minutes. From the top of the Cable Car you can wander through the Botanic Garden, then catch a free shuttle bus to Zealandia, Wellington's must-visit wildlife eco-sanctuary. To experience the buzz of Wellington, simply hit the streets or head to the waterfront promenade. Everything's within easy walking distance and there's always something new going on. You'll soon discover why Wellington is such a popular destination with people from all over New Zealand who are looking for a refreshing short break or weekend away. A walk down bohemian Cuba Street will connect you with Wellington's creative roots. You'll see art galleries, boutique shops, vintage clothing stores, one-of-a-kind cafes, street performers and the famous Bucket Fountain. The city is also sprinkled with street art and a great collection of public art - to view 17 of the most significant works, follow the city sculpture walk. NZ's national museum, Te Papa, is one of Wellington's top attractions. 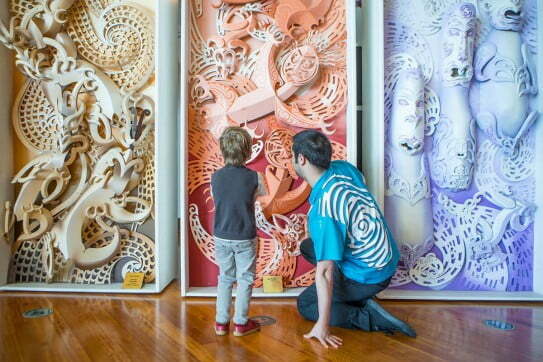 With cutting-edge and interactive exhibitions, Te Papa aims to change hearts, minds and lives. It's a perfect place to immerse yourself in Māori and Pacific culture, New Zealand history, natural wonders, contemporary and historical art and more. Weta Workshop and Weta Digital have showcased Wellington's creativity to the world through blockbuster movies like The Lord of the Rings trilogy, Avatar, Thunderbirds are Go and many more. A Weta Studio Tour will show you the secrets behind the filmmaking and get you close to miniatures, props, armour, weapons, vehicles, creatures and models, all made by Weta in Wellington. Live theatre is a big part of the Wellington lifestyle and there are always several great shows on offer. When you're planning a trip to Wellington, check ahead on WellingtonNZ.com to see what will be on when you visit and book early to avoid a sell-out. The creativity of Wellington continues in its innovative restaurant kitchens and craft beer brew bars. Eating out in Wellington is pure pleasure. From award-winning breakfast cafés and harbour-side seafood lunches to fine dining establishments and night food markets, you're never far from a delectable eating experience. For inside tips, sign up for one of the popular walking food tours of Wellington. If you like coffee, you'll love visiting Wellington. CNN Travel included Wellington in its top eight international coffee destinations. There are more than a dozen roasters in the city and a café on almost every corner. Craft beer is another celebrated beverage. 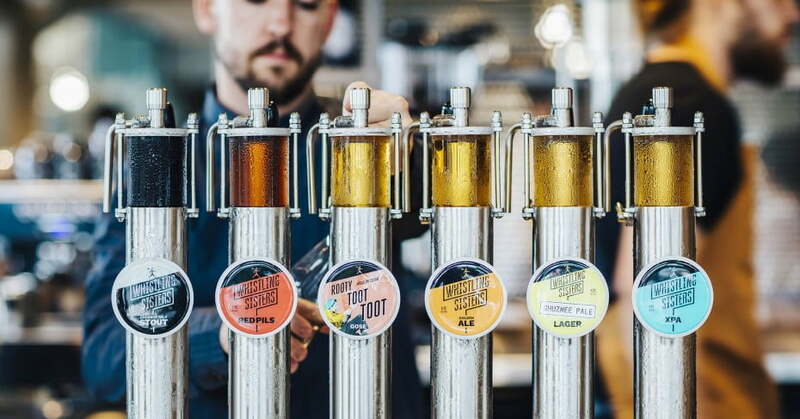 Keep an eye out for inner-city brew bars, dedicated craft beer bars, beer tours and restaurants that specialise in matching each dish to the perfect brew. Wellington's green belt of wooded hills provides great opportunities to raise your heart rate and enjoy spectacular views. A local favourite with walkers, runners and mountain bikers is the Mount Victoria loop track - it takes about two and a half hours to complete if you're walking. From the top of the Cable Car, you can wander through the 25-hectare Botanic Garden, then catch a free shuttle bus to Zealandia, Wellington's must-visit wildlife sanctuary. This fully-fenced predator-free eco-sanctuary covers a 225-hectare forested valley and reservoir lake. It's home to more than 40 native bird species, as well as native reptiles and countless native plants. To get the most from your visit, book a guided tour. They operate during the day, at twilight and at night. Getting out on the harbour to experience the city from the water is another way to approach Wellington sightseeing. You can hire kayaks or paddle boards from the wharf area or take a guided kayak tour. 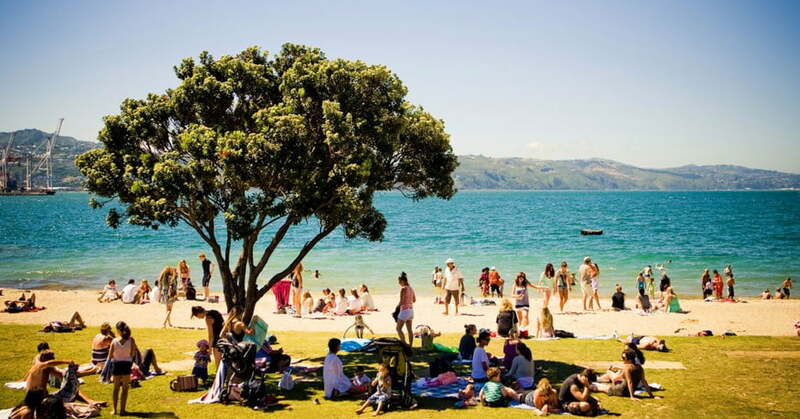 If you'd rather keep your feet dry, pack a picnic and catch a ferry to Matiu-Somes Island in the middle of the harbour. The island is a predator-free scientific reserve with a 40-minute loop track, 360° harbour and city views, remnants from both world wars, historic quarantine buildings and a vintage lighthouse. Bold and imaginative, New Zealand's national museum offers a remarkably engaging experience. Known for its bohemian culture, Cuba Street is refreshingly humorous and arty in a world that often takes itself far too seriously. 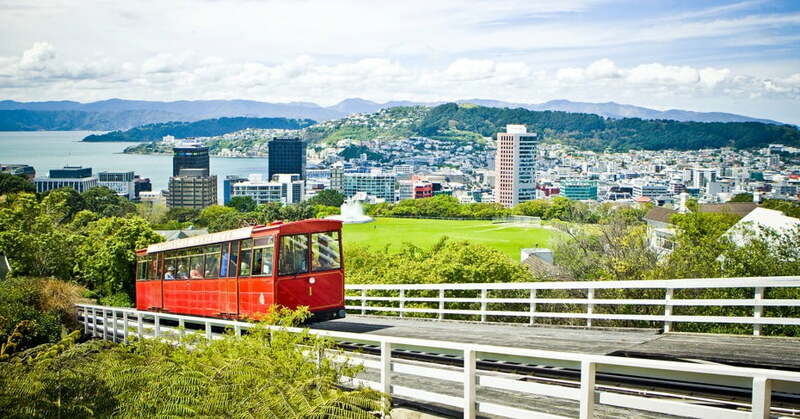 From the heart of the CBD, ride the iconic cable car to enjoy spectacular views, the cable car museum and the tranquillity of Wellington Botanic Garden. You'll find plenty of boutique breweries, brew-bars and pubs waiting to help you explore the city's legendary craft beer scene. Discover the filmmaking innovations behind The Lord of the Rings movie trilogy and more on a Weta Studio Tour. At Zealandia, a 225-hectare urban ecosanctuary, you can unwind in the company of rare native birds, reptiles, frogs and plants. Take a guided tour to explore the architecture, heritage, processes and protocols behind New Zealand's democratic government. Downtown Wellington wraps around a beautiful harbour and there's a 2km walkway from the old wharves to the golden sand beach at Oriental Bay. Immerse yourself in fascinating local stories at Wellington Museum, which was recently voted one of the Top 50 museums in the world. Wellington has perfected the art of casual socialising, with restaurants, cafes, food trucks and boutique bars making the most of exceptional local produce and seafood. If you're interested in cheap fares to Wellington, we run regular special offers. You can sign up for low fare alerts to receive early notice of these offers. You can also sign up to receive regular email updates about cheap airfares, packages, competitions and exclusive offers. You can feel confident about visiting Wellington in any season. Summer is surprisingly quiet in the CBD, because business travellers are fewer, but in spring the city pulses with excitement as the World of Wearable Arts Award Show takes to the stage at TSB Arena. Average highs range from 20°C in summer to around 12°C in winter. The city experiences a lot of glorious weather but can be windy, so pack a rain jacket and a robust umbrella. This will depend on your tastes and what you want to do. As a rough guide, not including air travel and hotels, you should allow about NZD $100 to $150 a day per person for food and entertainment. There are no mandatory vaccinations required for visitors to New Zealand. If you're visiting Wellington from overseas you might need a visa to holiday in New Zealand, depending on where you're from and how long you're staying. See the visa-waiver list. See the visa-waiver list. *Flight times are based on the fastest route available. **Indirect flights may also be available for this route. Oriental Bay image courtesy of Wellingtonnz.com; Cable Car image courtesy of WellingtonNZ. ; Egmont Street in Wellington image courtesy of Wellingtonnz.com; Te Papa in Wellington image courtesy of Wellingtonnz.com; The laneway in central Wellington image courtesy of Wellingtonnz.com; Whistling Sister Beer Co in Wellington image courtesy of Wellingtonnz.com; Oriental Bay beach image courtesy of Positively Wellington Tourism. ; LUX Light Festival courtesy of WellingtonNZ.